I am a lip balm hoarder who loves experimenting and trying out new brands. 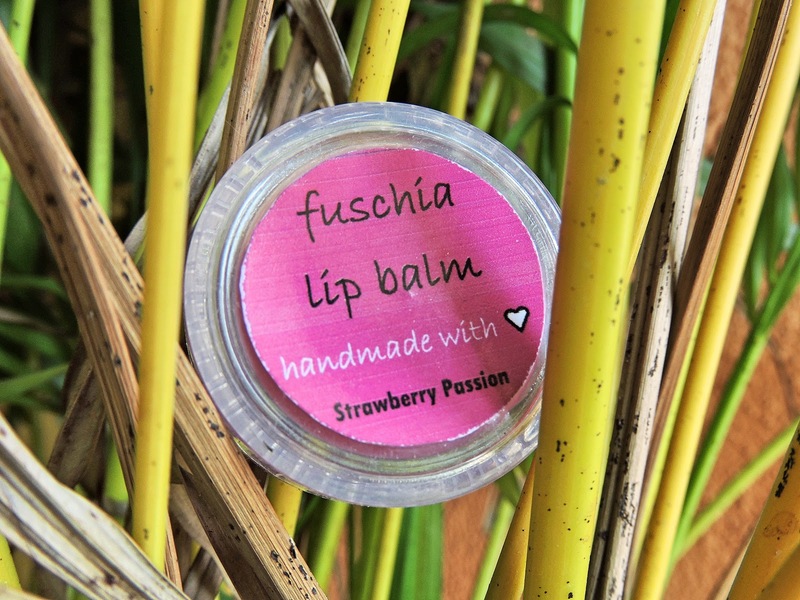 Anything with a 'handmade' or 'natural' tag instantly grabs my attention and that's how I came to own this lovely 'strawberry passion' lip balm from Fuschia. 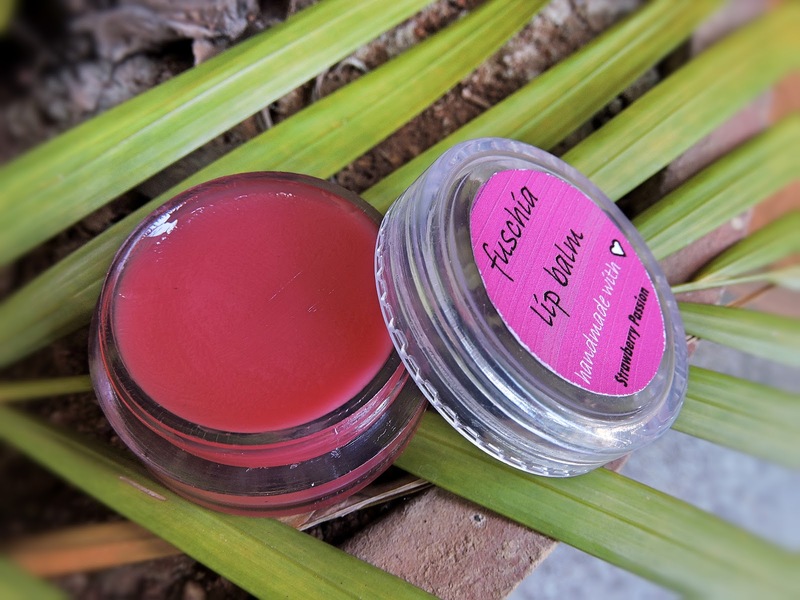 I usually don't buy lip balms with a bucket packaging but this one is an exception - I am glad I gave it a try! INR 225/- Buy it here. The texture of this lip balm is very soft like Vaseline but the best part is that it's not runny. I hate runny lip balms which spread all over my face after application. This one is not runny and smoothly glides on the lips. 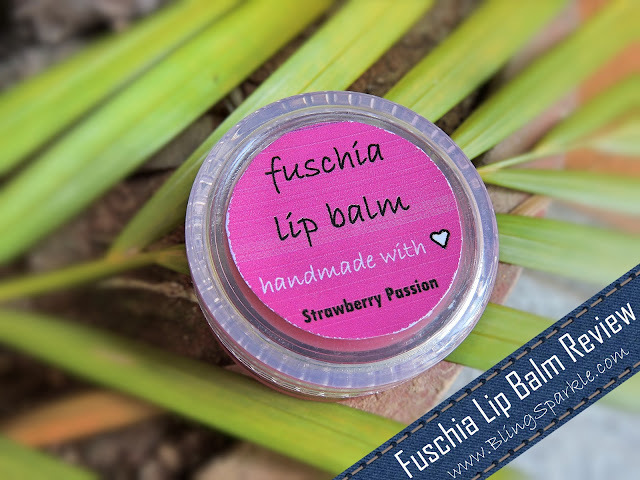 I totally adore it's scent which is quite different from any strawberry lip balm in the drugstore. The scent of this lip balm is strawberry sweet which is not too strong but still there. It stays on my lips as long as the lip balm stays slightly toning down with time. I really love its smell. Though lip balm looks quite pigmented pink in the tub, the colour doesn't show up much on the lips. There's a light hint of pink which is adorable and looks like your natural lips. Given the 'handmade' tag I didn't expect it to last long but I was in for a surprise. This lip balm by Fuschia lasts for a good 5-6 hours and I feel my lips are moisturized for at least 12 hours of it's application.